Leading Exporter of indonesian coal, indonesian steam coal and screened indonesian coal (0-6mm and 6-20mm) from Coimbatore. 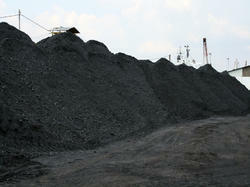 We are Dealing in INDONESIAN COAL all over India. We render an extensive range of imported coal varieties that are obtained from highly reliable sources, have better generation capacity, high calorific value and, thus are of superior quality. This imported coal is firstly tested relating to various parameters and only those matching the industrial standards are supplied to the clients.GCV 5200-7500. We would like introduce our selves as M/s.GoelAssociateshaving registered and corporate office at No 63,East Ponnurangam Road, R S Puram,Coimbatore"641002 and also having our office at Morbi Gujarat for purchase and delivery of all types of imported coal . we are dealing in Imported SteamCoal and supplying the same in all the states for meeting the requirementsofPaper, Textile ,dyeing, Steel Re rolling and Plantations industries. We have large customers list and supplying to mainly to corporate companies . We are in position tosupplyvarious GCVofsteamcoal( 5300 GCV to 6100 GCVs) from Tuticorin , Chennai , Manglore , Jaigarh , kandla, Vizag and any other ports which isnearestto the delivery pointofthe customer . We arealsosupplyingUSAcoal( GCV 7000 & ABOVE) from kandala port to any where in India as per customers requirement . Looking for Indonesian Coal ?